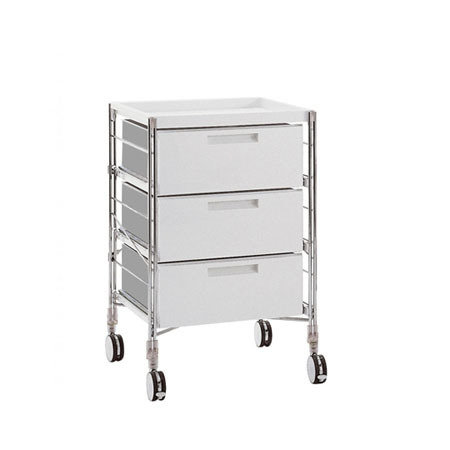 Modular drawer. 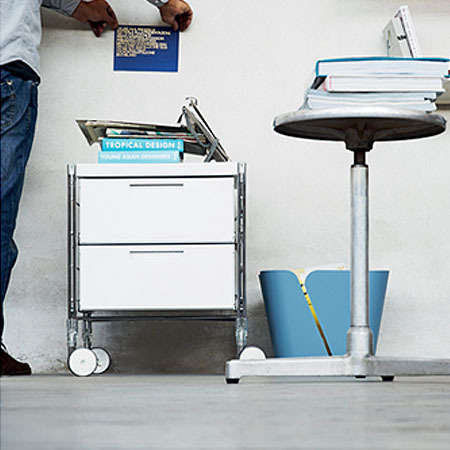 A practical and mobile rack, the Festival trolley is available with the structure in chromed or embossed silver painted metal. 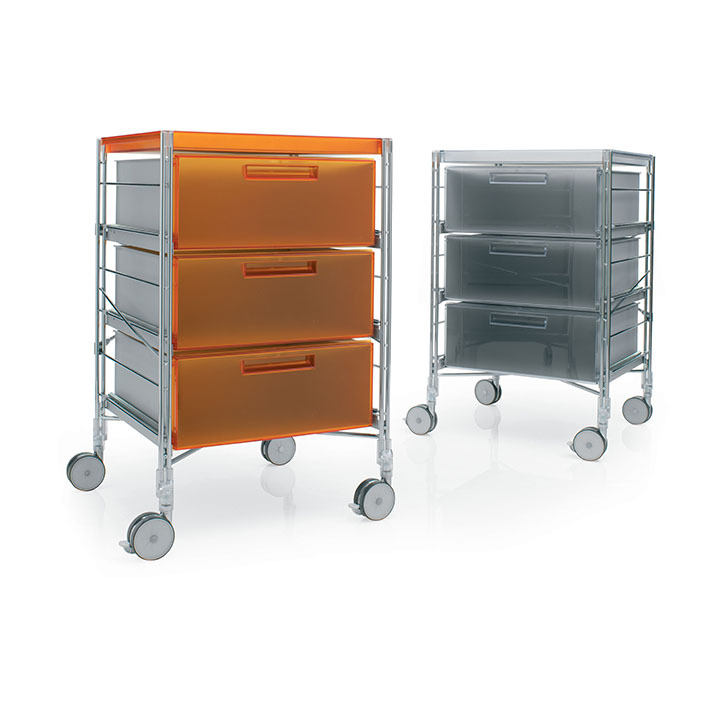 The structure of the drawers is in silver painted metal and the front, side and top in polycarbonate. The various styles and heights offered make the object an ideal, aesthetically sophisticated accessory for home or office. Embossed silver painted or chromed metal. 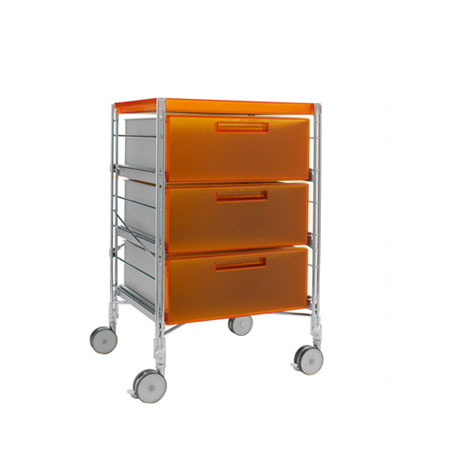 Top and front in transparent or polished methacrylate.